The team at European Cycle Events, headed up by Dudley Samuels, have been taking cyclists to Europe for both major, organised events and tailor-made trips for over 18 years. Italy is our heritage due to family connections, but our tours include Mallorca, mainland Spain, and France. What’s more, Dudley has personally ridden just about every Gran Fondo or sportive there is, so his experience as to what you can expect from a tour is built on his personal knowledge and know-how. We always use great 3 and 4 star hotels in great locations, and back that up with our personal bike transportation service and dedication to customer service. When you travel with European Cycle Events you’ll be looked after by Dudley personally, so we can guarantee to be on hand at all times to help with any issues that might arise from ‘where can I get my bike fixed?’ to ‘what time do I need to be at the start?’. Quite simply we want you to have the best possible, hassle-free biking experience and want to make sure you have a memorable trip for all the right reasons, with a desire to come back for more. Nothing is impossible or too much trouble, and perhaps the best evidence is that over 60% of our customers come back time after time. 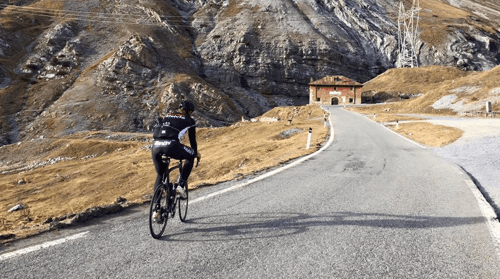 We are an approved tour operator for many events including the Maratona Dles Dolomites, the Santini Stelvio Gran Fondo and the famous end of season Prosecco Gran Fondo. 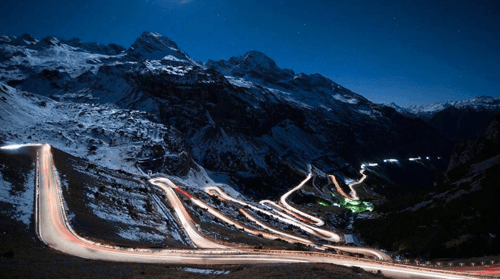 For 2019 we have added the Mallorca 312 and the L’Étape du Tour to our list. Beyond that, we are always adding events to our repertoire and will never say no to any group who want to build their own tour and want us to help in some way. Please just ask! Our birthplace was our cycle retail outlet in London and our UK sportive; the Spring Onion, now in its 11th year, is regularly ridden by 300+ cyclists, and is the only UK sportive that we know that serves hot pasta at the end of ride feast. 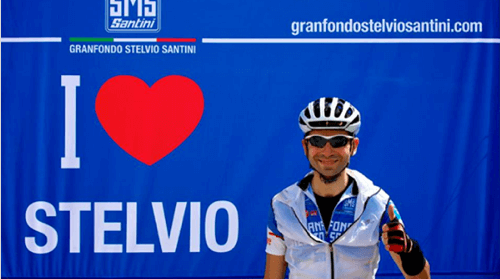 Post the 2012 Olympics, as you know, cycling really took off here in the UK with the Prudential Ride London 100, and as a result, we have helped more and more cyclists discover the excitement of Italian cycling and riding on closed roads in Europe. Whether a hard-core roadie, an intermediate or first-timer wanting to explore your potential, we will make sure that you (and your bike!) have the best possible experience.